Alexis Barnes (BSA ’17) wants to leave a legacy – with food and by giving back. Alexis Barnes (BSA ’17) is a training development specialist for John Deere. During her time at UGA, Alexis was involved with UGA Minorities in Agriculture, Natural Resources, and Related Sciences (UGA MANRRS), served as a CAES ambassador, and became a member of Sigma Gamma Rho. She gives to the College of Agriculture and Environmental Sciences Fund, the CAES Office of Diversity Affairs, the Black Alumni Scholarship Fund, and the Eterna Fund. Alexis Barnes (BSA ’17) knows a good thing when she sees it. 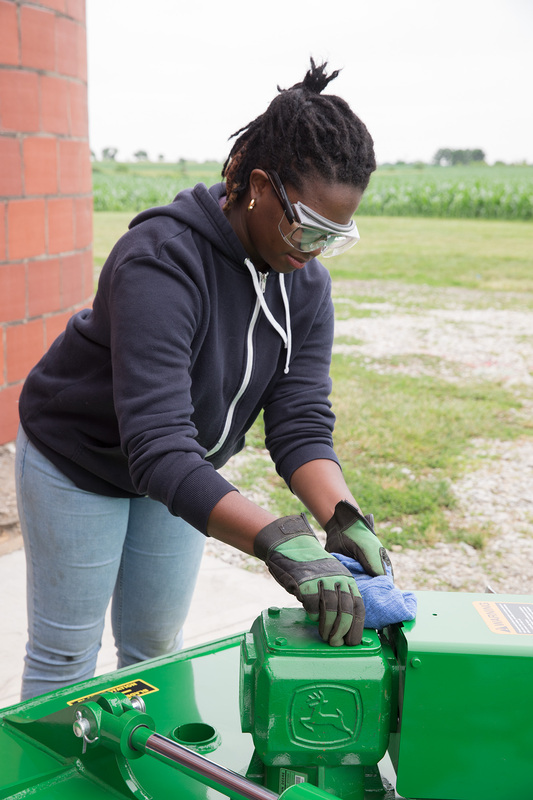 In high school, she quickly saw the value of the agricultural industry and jumped right in, committing her academic and professional career to agriculture. “There are a few things you can guarantee, one of which is that people have to eat,” said Alexis. After changing her major several times within the College of Agriculture and Environmental Sciences (CAES), Alexis began to see her degree and career as an opportunity to demystify the food industry and help the public understand where their meals come from. Exactly a month after graduation, she packed her bags and moved west to Iowa to start her career. The first thing Alexis did after graduation was give back to UGA. “I didn’t even miss a beat. Giving back was a no-brainer,” she said. She chose to give to the CAES Office of Diversity Affairs (ODA), Black Alumni Scholarship Fund, CAES Fund, and the Eterna Fund. The ODA and CAES had a significant impact on Alexis’ academic and personal growth. As a student worker in the ODA, she was deeply affected by the people and the work. “It had a huge impact on me and it was a game changer for how my career went,” she said. The Eterna Fund is an endowed fund that supports the CAES Alumni Association’s efforts to provide student scholarships and programming for alumni and students alike. In 2017, the Eterna Fund helped her, as president of UGA Minorities in Agriculture, Natural Resources, and Related Sciences (MANRRS), increase the number of UGA students attending the MANRRS national conference—the same conference where, in 2015, Alexis secured her first John Deere internship. Supporting the Eterna Fund makes Alexis feel like a part of the big, impactful changes and innovations that are happening among students. 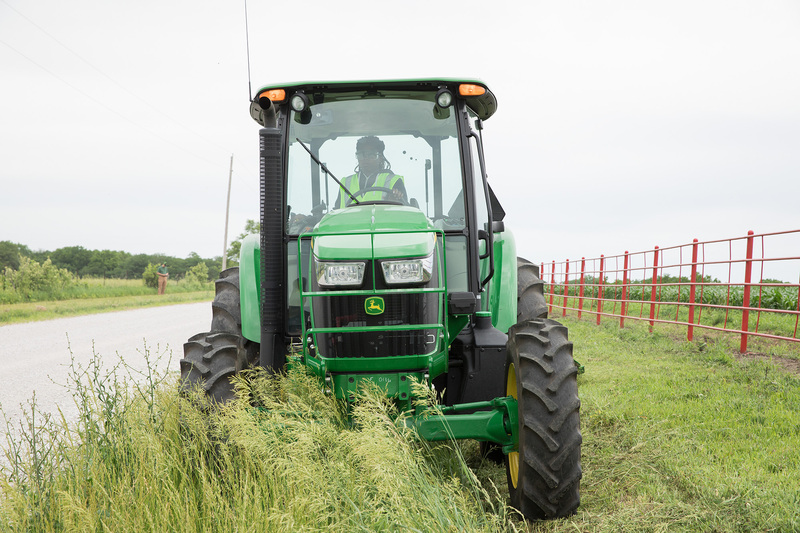 Alexis operates a tractor and rotary cutter for a John Deere promotional photo shoot. Alexis fondly remembers her time with CAES and at UGA. In particular, she recalls speaking with a prospective student about CAES. “This young woman was talking about all the things she wanted to accomplish, and it was all very similar to what I wanted to do,” Alexis said.